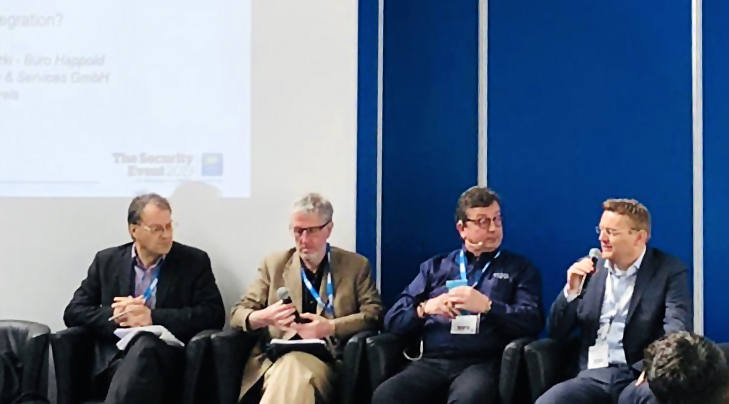 From 09-11 April 2019, Advancis exhibited at the trade fair The Security Event in Birmingham. On our 24 m² stand we presented the innovations of the new WinGuard version X4. Jan Meiswinkel, CEO of Advancis, participated in the conference programme and discussed with other experts about how to add value with integrated security from concept to commission. We would like to thank you for your visit in Birmingham! 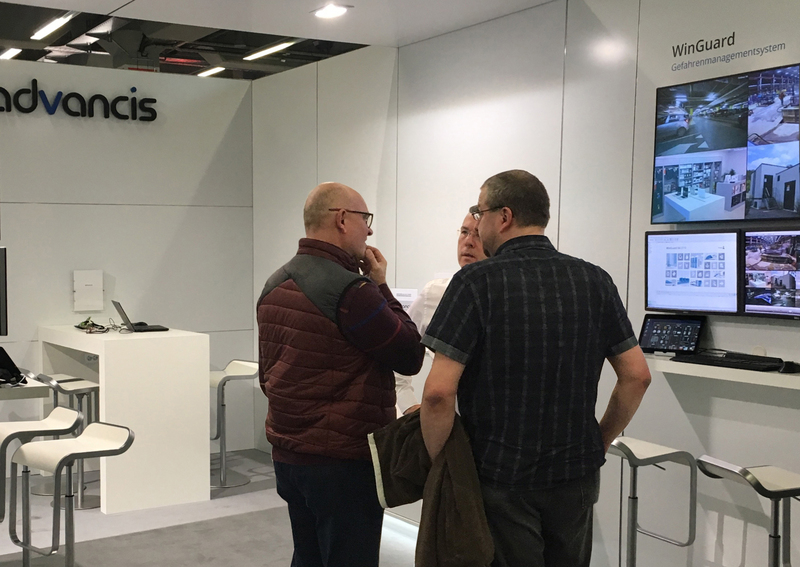 From 05-07 March 2019, Advancis exhibited at the Security & Policing Home Office Event in Farnborough (UK) and presented the recent version of its vendor-neutral PSIM platform, WinGuard X4.We would like to thank you for your visit! From 09-11 April 2019, The Security Event 2019 will take place at the NEC Birmingham. The exhibition is accompanied by a tailored education program to address security professionals, installers and integrators, but also end users. Visit Advancis at stand no. SE167 for a live demonstration of the recent vendor-neutral PSIM version WinGuard X4. The FeuerTrutz trade fair in Nuremberg set new records in 2019: over 9,000 trade visitors from around 50 countries collected information at the stands of 315 exhibitors. We were very pleased to welcome you at our stand and would like to thank you for your interest in our vendor-neutral PSIM platform WinGuard. From 20-22 January 2019, Advancis was again part of the German Pavilion at Intersec. With more than 1200 exhibitors from 54 countries as well as a further increased number of international visitors (around 36,000), Intersec emphasized its importance once more. We would like to thank you for your visit to our stand as well as for your interest in our vendor-neutral PSIM platform WinGuard.